This Purdue University sign is navy blue, golden yellow, and a crème color. The text on the sign reads “Sweet Cream Purdue University Creamery. 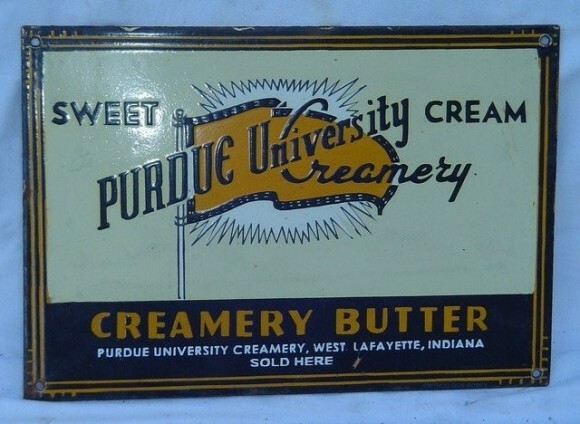 Creamery Butter Purdue University Creamery, West Lafayette, Indiana Sold Here.” There is a gold flag in the center.